Palestinian Authority terrorists fired several rocket attacks at southern Israel on the Sabbath, shattering the calm of a quiet afternoon. Palestinian Authority terrorists fired a barrage of rocket attacks at southern Israel on the Sabbath, shattering the calm of a quiet Saturday afternoon. A Grad Katyusha rocket exploded outside the city of Be'er Sheva shortly after the noon hour. The missile, fired by terrorists in northern Gaza, landed in an open area. No property damage was reported, and no one was physically injured, although a number of residents suffered anxiety and post-traumatic stress (PTSD) attacks. Two short-range Qassam rockets were also fired in a separate attack on the western Negev, slamming into the Eshkol Regional Council district. Both landed in open areas. No property damage was reported, and no one was physically injured. 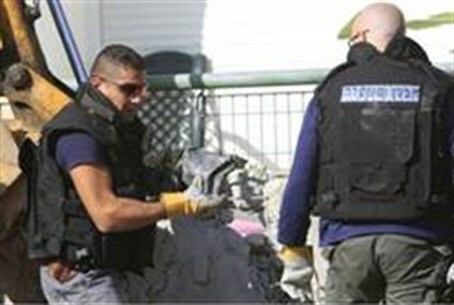 On Friday there were several attacks on southern Israel by Gaza terrorists that prompted the IDF to move to high alert. One rocket reached the Ashkelon Coast Regional Council district. The other exploded in the Eshkol Regional Council district. Gaza terrorists also fired an RPG (rocket-propelled grenade) anti-tank missile at IDF soldiers patrolling near the southern border. None of the Israeli soldiers were wounded in the attack, and IDF forces responded with tank fire.